I recently purchased the humorously titled 'me Tarzan, you Jane. 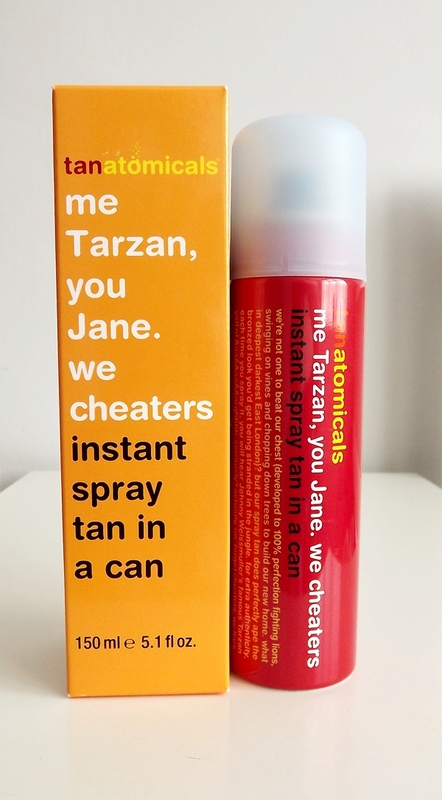 we cheaters instant spray tan in a can' by Anatomicals from ASOS during one of their 'beauty flash sales'. I'd been meaning to try some new tanning products for a while after having using nothing but the Garnier Summer Body to tan myself for the last two years (and seeing as there's no way I could get a real tan in this country at the moment), and after reading one or two reviews on this product I decided to give it a whirl. The concept of a spray tan in a can is definitely interesting, and is unlike any of the gels and creams that I'd previously heard of that sounded messy and dangerous. I shook the can and sprayed as instructed in a 'sweeping motion' over the skin. It does say to hold the can approximately 15cm away from the skin which I did try and do, however it was tricky to maintain an even distance so I ended up with a few darker, more concentrated spots where I'd sprayed a little too close! Although the box says there's no need to rub in, I did just use my hand to even out these patches. The spray dries almost instantly, and was extremely quick to apply to my legs. I didn't attempt the rest of my body as although the can does have '360 degree spray technology' meaning you can use the can upside down to reach tricky areas, I didn't feel the need to use it on the rest of my body at the time. The tan lastest nicely on my legs for about two days, but now it has gone patchy and will need to be exfoliated off. The colour it gave me was really nice and actually very similar to the colour I go when I tan naturally, but unfortunately it doesn't come in any different colour variations - I just got lucky! 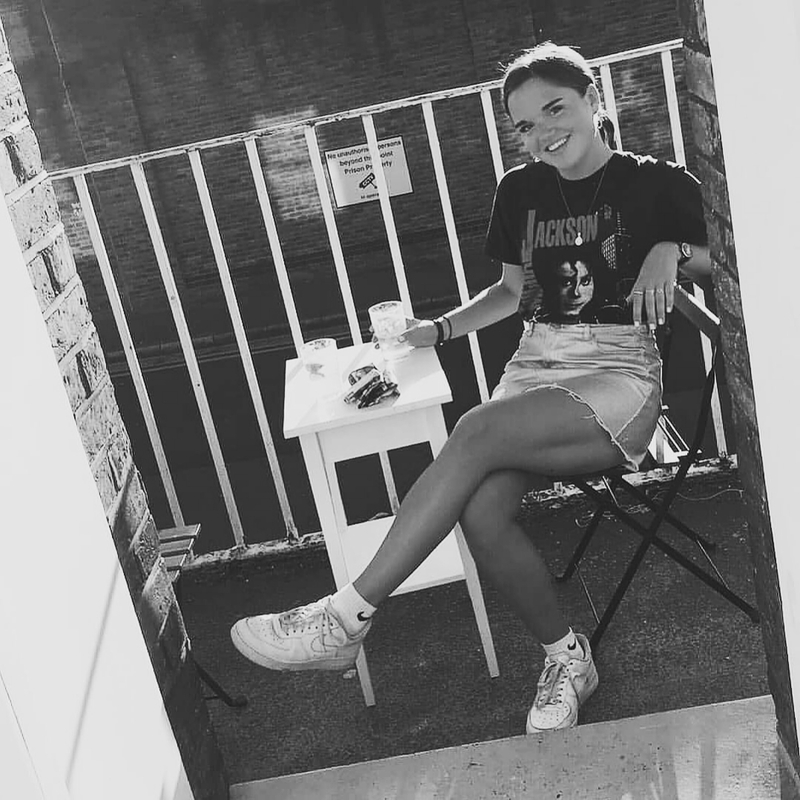 My verdict on the 'tanatomicals' is that, due to the quick drying nature of the product, it would be perfect for any last minute rushes; perhaps if you weren't expecting to have to tan up for a night out and just quickly want a bit of colour. I'm not exactly sure how long the one can is going to last me so I will be using it sparingly and saving it for these kinds of last minute occasions! It retails for £7 which I think is extremely reasonable for a tanning product, and although I got if for slightly cheaper I would consider paying full price for another one when I run out. I've heard of some similar products on sale in Boots as well, so may give those a go and let you know what I think! As a bit of a fake tan virgin I found this relatively easy to use, so any of you die-hard users will probably find the 'tanatomicals' a doddle! I have another fake tanning product lined up to review soon, so I'll let you know how that compares! What are your favourite fake tanning products? Do you fancy trying the 'Tanatomicals Instant Spray Tan in a Can'?